At The Pyjama Store, we're proud to be the sole UK retailers of Cormia, the exquisite brand that promises quality, endurance and durability. concept through to production. The result of such careful attention to detail is the creation of a thriving brand. 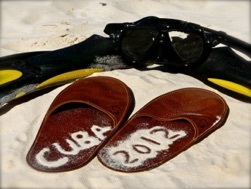 Thanks to the use of superior leather, the more their slippers are worn, the better they will look and feel. 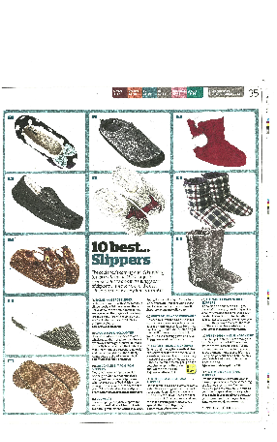 In November 2013 we've won a contest in the 10 best slippers in the United Kingdom in the traveling category. This picture was took in Africa for my vacation. 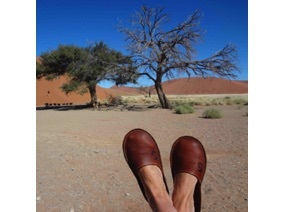 "As much as we travel it is really nice to have compact, attractive, high quality slippers." 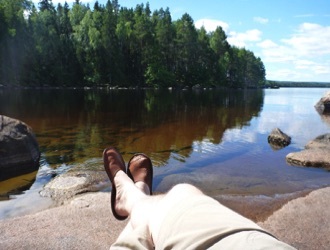 Here are a couple of photos from a short camping trip on an small island on a lake close to my home in Ludvika. How are you doing? I attach a picture for you here as promised. From Hong Kong straight from my bed! The slippers are serving me very well. 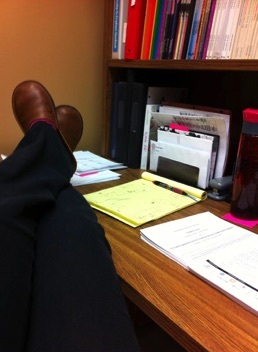 I love my slippers so much that I've been working with them at the office. The design and the leather is so of high quality that they look like casual shoes. Thanks again for the service and keep the good work. I love my leather travel slippers. They're perfect for traveling - foldable, nice storage pouch and suitable for a variety of locations. However, I also use them as my favorite "at home" slippers, as well. 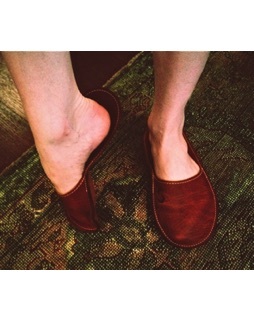 I'm a barefoot kind of girl and these leather slippers really are the next best thing to bare feet. They formed to fit my feet like they were custom-made just for me. I wear them inside and out, traveling or at home. You'd think they were made of iron they've held up so well; but they're way too comfortable for that! Thank you for a wonderful product, Cormia. I wanted to mention that my daughter called Sunday and was so excited to have received the slippers you had sent. She sent a picture of the slippers on her feet and was in the process of breaking them in! She was so excited! Thank you for sending these out on such a short notice and making her birthday special. We're always travel together...thanks for the nice slippers. Casey Allen has endorsed your work as Founder & Owner at Cormia Design. commendation of your work to share with other LinkedIn users. slippers and so does my brother and dad. Very pleased with the product and service.Thanks Mario!" I showed them to a couple of my colleagues and they admired them also. I can't wait to take them with me to Ottawa, they sure will take up less space than my normal slippers. I just want to let you know that I got the slippers, and they look great! I hope he likes them as much as I do. I think they will fit, although I won't know for sure until Christmas. Thank you for shipping them so promptly. I just thought you might like to know that the slippers fit well and he loves them. One of his friends saw them and liked them too, so we gave him your card. Many thanks for confirming my order. Yes, your shoes are great, and I recommended them also to a friend of mine here in Seoul who is running a shoe store for hand-made shoes from England and Hungary. The pouch looks also nice, please do keep me updated on this as well. recall how long ago... but I would like to get a pair for my step mother for her birthday.. Guess what! I already received my slippers, and they are wonderful! Perfect fit- thank you! Thanks again- I can't believe they got here so quickly! Hello, I just bought a pair of these slippers for my husband's birthday. He loves them! As for using the slippers, my husband has worn them around the house as you suggested to stretch them. He will wear them primarily when he is traveling. We are retired and we travel all over the world. who has to travel with her job. 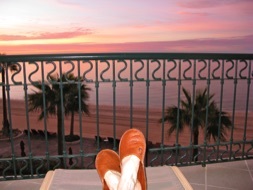 We traveled in Italy this fall for 46 days and both of us used our Cormia slippers throughout the trip. Yes, he loves them. Any time anyone is looking for a good gift, he talks about his travel slippers. getting her her own pair! 5-6 is your smallest size, correct? I'm not sure if you remember me- but I bought 2 pair of slippers from you, one for my step mother in Virginia and the first pair for myself, and we also exchanged a few emails a couple of years ago. My step mother, and I LOVE our slippers and are so delighted with them we wanted to thank you again for creating such a marvelous and PRACTICAL product. I love your shoes and thus I ordered another pair for my father as a gift. Please prepare size 9-10 for him and send it to the address in Germany. Nice slippers and I like them . These slippers will last me a lifetime. Thanks again. Thanks, I look forward to receiving these slippers! 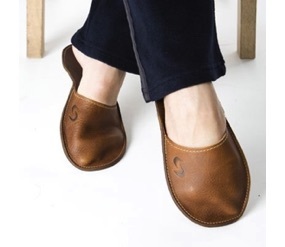 They are a gift for my husband who is very particular about footwear and wanted easily portable leather slippers that also look elegant (it's very hard to find such!). I actually did a Google image search on Mens leather travel slippers, and I was immediately drawn to the image of lovely design of your slippers. 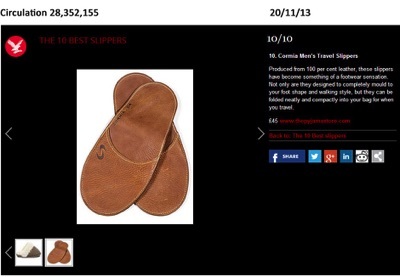 I found your site when I was searching online for leather slippers without a heavy sole. As it turned out your slippers were perfect. My daughter, Samantha received a pair and is very happy, she loves them, I gave my pair to my mother she liked them so much, so now I am ordering another pair. Everyone was intrigued when I explained the background story and that the slippers came from Canada. Slippers are unique and comfortable too!!!. Superfast shipping!. A+++++seller! Fantastic transaction. Excellent customer svc. & craftsmanship. Love item. Awesome product! Highly recommended. Fast delivery. Thank you. Great item! bought a second pair for my father. highly recommended! I am happy to advise you the slippers arrived yesterday, and they look and feel better than I expected. I am wearing them now as I write. great idea, great execution, great materials! Love the Canada pride! Hope you expand and sell on Etsy, etc. The world should learn about this product! They are just perfect and exactly what I had been looking for! I don't know WHAT inspired you to make them, but a voice must have whispered in your ear! V A comfy pair of slippers is an essential part of a travel wardrobe. So how about a pair of space-saving cowhide leather slippers that fold to pocket size into their own soft bio-pouch? there is no left or right slipper and each pair molds to your feet after a while. The leather has been treated with vegetable oil for flexibility and weatherproofed for outdoor use and draws moisture away from the feet and releases it to keep them dry. 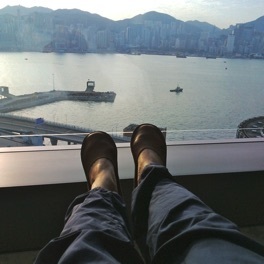 I am planning to bring them on my upcoming trip to California and Hong Kong as my travel slippers (in Singapore we don't wear slippers in doors [too warm] and we have to wear grip slippers outdoors because of the rain). I have made a note on my calendar to take this picture for you. I will be in this hotel with the Victoria Bay in HK in front of my bed. I will take a picture there and send it to you end of November. Received the slippers today and they're fabulous! 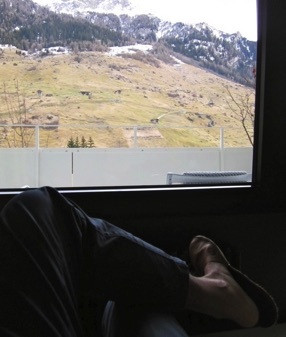 I spent the Christmas in the Alps and remember that you don't mind photos of your slippers. I bring them everywhere with me. 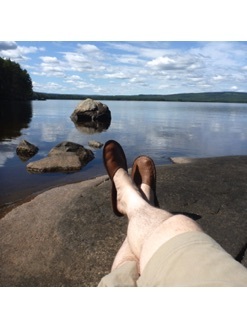 I take care of them using a good leather conditioner and they are going strong and they are the most robust travel slippers I have. Here's a photo of Cormia in the Alps (Vals, Switzerland).